In a previous post I warned you to look closely at what you are going to be charged once you check into your hotel or resort. These wonderful properties are adding more and more fees. Most of the fees will be for things you will never use while at the property. The basic add-on fee is the so called "resort fee." This fee is added to your bill and generally covers things like local telephone calls, Internet service and a few other extraneous items. 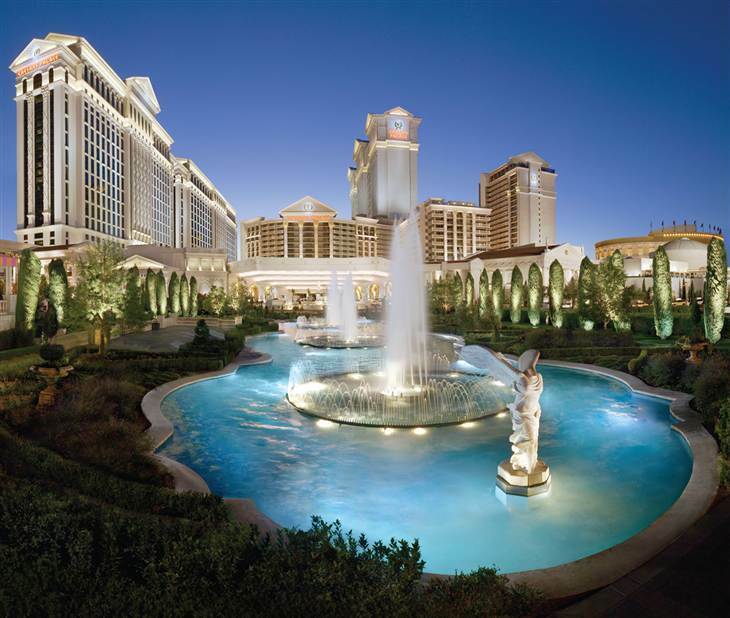 Caesar's Entertainment Group is the latest Las Vegas group to add these "resort fees." Upon until now the phrase "No Resort Fees" was as familiar for the properties of Caesar's Entertainment as "what happens in Vegas Stays in Vegas" is to the Las Vegas Tourist Board. Well, it is now a thing of the past. They have just announced that they will be charging resort fees ranging from $10 to $25 per day depending on which property is booked. Palace, Rio, Harrah’s, the Quad and Planet Hollywood. Why the change? Well according to Caesar's Entertainment you wanted it. Apparently their surveys show that you want to pay extra for services like local phone calls, use of the exercise room and pools and Internet service. When asked about whether or not you could opt out of the charges Gary Thompson, a spokesman for Caesars Entertainment said that guests cannot opt out of the fee and it will be added automatically to the bill. He told NBC News, “We do a lot of surveys of our customers and most of them were, one, accustomed to paying resort fees at our competitors and, two, they wanted us to provide them with a package price instead of having the inconvenience of separate fees,” "Resort Fee" is that not a separate fee? If you believe that I have some ocean front property in Arizona that is for sale. Believe me when I tell you that when the charge is mandatory the customer never asked for it. Think about it, when did you ever walk up to the desk and ask, "Could you charge me an extra fee to make local calls?" It really is just another way for the property to get more money out of their guests without adding any real value. Think about it, when did you last make a call on a hotel phone . . . that's what I thought, you used your smart phone because your being smart. Not anymore . . . go ahead and use your smart phone but you'll pay for the room phone you didn't touch anyway. Same phone makes the hotels WiFi useless. These are pure profit. These fees account for some 2 Billion dollars in pure profit to the hotel and resort and they don't have to add any new service to make it. Granted most Vegas hotels have charged these fees for some time now. But they never used "No Resort Fees" as a tag line for their product as Caesar's Entertainment has. Basically their response was that they know people will not like is but they'll get used to it. Their better no on will cancel their Las Vegas trip because of it. Not canceling might have more to do with the fact that the hotel has already hit their credit card for the for the first night's stay. Reminds me of the old couple who were traveling across the country by car. After having driven for some 10 hours they decided they would stop at a hotel and get a room so they could get a few hours of sleep before going on down the road. They stopped at a fairly nice hotel checked in went to their room slept for about 4 hours and then got up to continue their trip. When they went to the desk the person at the desk handed the man his bill. The old man was shocked when he read that his four hours in the hotel was $350. He asked the guy behind the desk about the price and was told that in addition to the cost of the room they added the tax and resort fees. The old man said, "I understand about the tax but what are the resort fees?" After a few minutes the manager was called and explained each charge. "This one," he said, "is for the use of the pool." The old man replied, "But I didn't use the pool." The Manager answered, "But it was here and you could have used it." Then he said,"This charge was for the Internet and telephone." But I didn't use it," said the old man." Again the answer from the manager was the same, "But it was here in case you wanted to use it." This went on as they went through all the charges. Finally the old man gave his wife the checkbook and angrily said, "Pay Him." She took the check book, wrote out a check and handed it to the manager. He looked at the check and said, "This is not right, you have only written the check for $98.00." She replied I deducted a charge for sleeping with me." He protested and said, "Lady I didn't sleep with you." She said, "I know, but I was here and you were here and you could have if you had wanted to. It's not my fault you didn't take advantage of the service." Kinda expresses my feelings on this "Resort Fees" concept. We should only pay for what we use or consume not availability. Let those who use the service pay for the service. But then that would turn the resort into a grocery store. Hope the grocery store doesn't start charging me a fee for the shopping cart whether I use it or not . . . after all it was there if I wanted to use it. How's Business These Days? he asked. I was visiting with a couple of friends a few days ago and we were talking about the economy and how so many of our community's small businesses were closing down. In fact, knowing that I have chosen to work from home one guy suggested, "You might want to consider getting some space in one of the strip malls space out to be cheap right now since there is so much of it." I replied, "No I can't imagine why would I want to get up early and drive 20 miles to a small store when I can wake up just down the hall from my office?" He then asked, "By the way, "How's business these days? Are people still traveling as much as they used to?" There is no question that the economy has been through some tough times and that has meant tough times for small business owners. I've seen some businesses that just a year or so ago were bustling and looking at expanding close their doors. I'm sure there will be more. So, in answering the question I replied, "Well, we have certainly seen a change in people's traveling patterns. They have not stopped traveling but they are taking shorter vacations. Two years ago I rarely sold a four or five night cruise. They were all seven days or longer. No we sell quiet a few short cruises." Money is tight. . . . there is no getting around it. Flying has become one off the major expenses people are struggling with these days. I priced an Eastern Mediterranean for myself. The 15 day cruise was less than the airfare. However, the solution is not to forget the vacation but rather to adjust it. If you are used to flying somewhere on vacation, try going on a cruise out of a port that you can drive from. Not purchasing airfare can save you a lot of money and with the money you save, you can upgrade to a balcony from an interior stateroom and have money left over. In our area, we have sailing out of Galveston alone 4 cruise lines and 5 ships. Royal Caribbean has the Mariner of the Seas, Carnival has both the Carnival Magic and the Carnival Triumph, The Disney Magic and the Crown Princess. Soon Norwegian will add their own ship to the mix in 2014 when it bases a ship out of the Bayport Terminal. Princess will start using the Bayport Termnal in 2013. Further down the cost ships are sailing from Mobile, Alabama and New Orleans, LA, which are all within driving distance from the Mid-South area. So whether you live in Texas, Louisiana, Mississippi or Alabama there a lot of choices. Many of our clients are using these ports and pocketing the cost they saved by driving instead of flying. Another great way to save some money on a cruise vacation is to go as a group. Maybe your kid's ball team (Parents and children) could be a group. 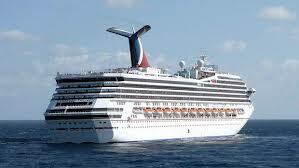 Everyone belongs to some kind of group that could put together with the help of a Travel Agent a cruise group. I have a group sailing out of Fort Lauderdale, Florida this coming January called The Dancing With The Stars Cruise that will actually feature some of the dancers from the show. If you don't like cruising, we can, through some our supplier partners put you and your family in a great all-inclusive resort for a lot less than you might think. So whether its Canada, Costa Rico, Mexico, Jamaica, the Dominican Republic or the Virgin Islands we can help you get there. Don't want to leave the country. You can also have a great vacation in places like Nashville, St. Louis, Atlanta, Branson, Gatlinburg, Las Vegas and any number of other places. I suggest a week on the San Antonio Riverwalk. Is the economy down? You bet it is. Does that have to change your vacation plans? Maybe a little, but at Texas Cruise and Travel, we work to find ways for you and your family to have a great vacation while staying within a budget you set. Give us a call at (713) 385-0080 or drop us an email at: info@texascruiseandtravel.com. Check out all the possibilities by visiting our website at www.texascruiseandtravel.com. I, like many people, have been following the events surrounding the problems confronting passengers aboard the Carnival Triumph. They had pretty much finished their short cruise and no doubt were already getting excited about being home and sharing their cruise stories with friends and neighbors. Then the unthinkable happened. There was a fire in the engine room and the ship lost all power. Suddenly things changed. Certainty now turned to uncertainty and for many that produced fear. No one wanted this to happen. Certainly the passengers did not and neither did the cruise line. But there they are . . . . Stranded at sea! The best advice I can give them right now is, “go with the flow.” (No pun intended). Getting angry will not help. In fact, it will only make a bad situation worse. There will be plenty of time for anger when they get home and fortunately they will get home! Right now it's make the best of a bad situation. Passengers need to do the best they can. Try and take things as they come . . . in stride. I know that toilets not working; foul air and bad odors; food not gourmet; rooms not cool; and other passengers grumpy, some angry and some down-right belligerent. The crew will generally do everything they can to make the inconvenience of the moment bearable. But remember, they are literally in the same boat. Try to keep in mind that the cruise line is trying to resolve issues with the ship and the problems that passengers are facing both on board the ship and will face when it does arrive in port. I can assure you that the ships engineers are working as hard as they can to restore electrical power and that passenger discomforts are minimized. Just keep in mind that without power nothing works . . . no cooking, no A/C; and no flushing toilets. Add to these a whole host of other things that we have become accustomed to always being there that we didn't even notice them until they are gone. Sounds like there might be some life lessons in all this. The ship staff is also trying to get all the legal and paper work done on behalf of the passengers for when they do arrive in port. For example, if the ship had actually gone to Progresso, Mexico as first announced 900 passengers would not be able to immediately leave the country because they were not traveling with a passport. They would face additional scrutiny at the airport. When the ship arrives it must be cleared by Homeland Security and the passengers will still have to clear immigration and customs. Those that drove to Galveston then have to be bused from Houston Airports to Galveston to pick-up their cars. Those who flew in from faraway places would have to deal with rescheduling flights and that cost. Carnival may give these passengers both a new cruise and full fare refund and arrange many of these details but I can promise you that most passengers will face some additional costs. Under the rules of portage the cruise line is exempt from many of the things for which people might think they should be liable. I started to spend some space talking about how to make the best of a miserable situation. You know, “What to do when the toilets don’t work?” Here’s a hint . . . try and book you cabin as high up on the ship as you can. Instead I want to one more time say to anyone and everyone who plans to travel and especially if you plan to cross an international boarder . . . .
GET TRIP INSURANCE! You may never face anything as severe as the folks aboard the Carnival Triumph have this week but you might miss a flight, get sick and have to return home early or even miss the boat. 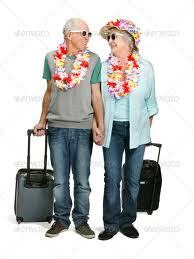 Trip insurance will not remove the physical discomfort but it will help alleviate the fiscal pain. I do have a third piece of advice. Don’t let this incident keep you from experience just how wonderful a cruise vacation can be. Keep in mind that these four and five night cruises are just introductory cruises. They are designed to introduce the first time cruiser to what a cruise vacation is like. It is too bad that for many first time cruisers aboard the Carnival Triumph their great cruise experience turned so badly. Believe me this is the exception not the rule. I have been cruising since I was a child and I have never been on a cruise that had these kinds of problems. I must confess that I was on one where we couldn’t raise the anchor and our 7 night cruise turned into an 8 night cruise. Seriously folks; to be alive is to be at risk. I must tell you that having your cruise vacation ruined by an event like that we’ve been hearing about this week is pretty minuscule. Don’t be afraid to book a cruise. In fact, book yours today and plan to enjoy today. Chances just got better that yours will be a flawless vacation. Check out our Dancing With The Stars Cruise on Holland America cruise set for next January.